Our financial year ends on 30 June and so we are busy, busy, busy at work! The most shocking thing about that statement is not so much the busyness but rather the fact that it is so close to the end of June! The year is just passing so quickly! While I am getting to the library to pick up my requests, I am not doing so well at actually reading the books I have borrowed. 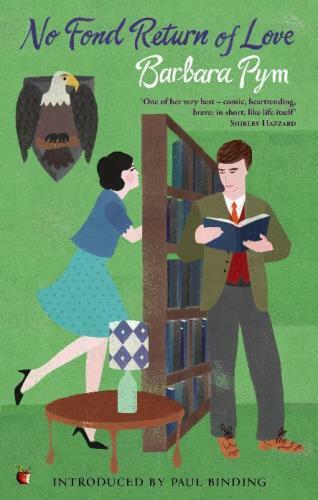 No Fond Return of Love by Barbara Pym - there were quite a few of the blogs I regularly read participating in Barbara Pym week recently. The books sound interesting to me so I thought I woudl see what my library had. There were only two to choose from so I picked this one first! 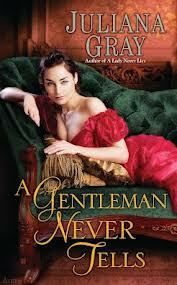 A Gentleman Never Tells by Juliana Gray - reloot! Second book in the series. Really liked the voice in the first one! Claire has Mr Linky this week so head on over to her blog to share your link! I love Barbara Pym -- I read her back in the 80s, when she was all the rage among my friends. I think you'll like her books too. Barbara Pym is everywhere! Enjoy your loot. I hope to get mine up later today.